Here's a list of social media tasks that, if executed on regularly, will help you and your team grow a robust presence across your various social networks and profiles. Many new—and sometimes very established—brands simply take to social media to schedule promotional messages jam-packed with hashtags and wait for the sales to flow. While that may have been an effective strategy in the past, social media sites have matured, and so, too, should your approach. I’ve had the fortune of working with many community managers during my tenure at Sprout Social, and with all of their collective knowledge in mind, I’ve put together this list of social media tasks that, if executed regularly, will help you and your team grow a robust presence across your various social networks and profiles. Finish any outstanding tasks: Closing any outstanding tasks should be the first thing your team does after grabbing a caffeinated beverage. Tasks are the messages that have spiraled into customer-service tickets or the bugs that have been sent to your product team. 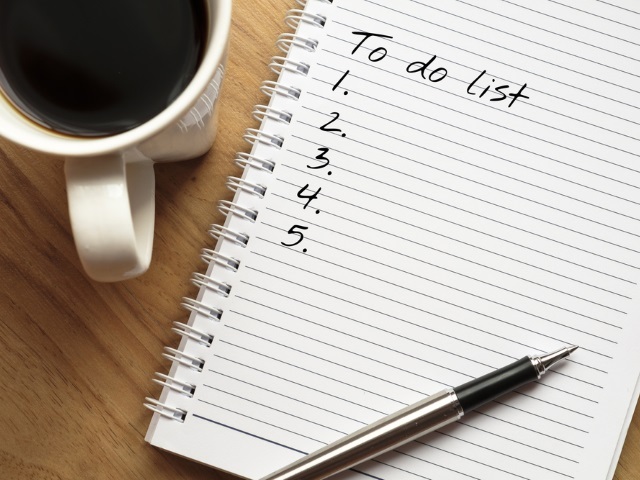 Keep these top of mind and work toward closing outstanding tasks before they start to collect dust. Respond to inbound social messages: Consumers are turning to social media to start conversations with the brands they care about. Whether they’re looking for a place to voice their compliments, complaints or general feedback, customers leverage social sites to do it. In fact, the number of social messages sent to brands requiring responses has risen 28 percent since 2013. Make sure your team responds to every inbound message requiring a response. Monitor and respond to brand mentions: Not every customer discussing your brand on social will tag your company’s page. Actually, some of those taking to social media to mention your brand will assume you’ll never actually see their message. This presents a fantastic opportunity to surprise and delight unsuspecting customers. See below for an example of an untagged McDonald’s mention. Although McDonald’s wasn’t mentioned directly, its social media team found the conversation and leveraged it to engage with a customer to boost brand loyalty. Use a social media monitoring tool to scan the various social networks for mentions you should be aware of. Find and engage with potential customers: Outside of brand mentions, people are having conversations about you on social that you should be a part of–you just need to find those conversations. Start by identifying terms or phrases that are adjacent to your brand. Coordinate with your marketing team to find those key phrases and use a social media monitoring tool to look out for messages with them. For example, at Sprout Social, we monitor for people using the phrase “social media tool.” When we see conversations happening around that term, we check to see if they are relevant and jump in to contribute to the discussion. Create conversations with brand advocates: Brand advocates are the social media users consistently recommending your company to their social communities. Your social team should keep a list of your known brand advocates and continue to build on those relationships to ensure that your products are always top of mind. Stay up-to-date on the social media industry: Social media networks are constantly changing or adding new features. Social media professionals who keep their eyes peeled for changes in the industry learn of the new opportunities earlier, and can utilize that to create a competitive advantage. Create unique social imagery to share: According to Twitter, tweets that contain images receive an average 35 percent boost in retweets. Lean on your design teams to create enough shareable social media images for each of your networks and profiles. Check out your competition’s social presence: It’s important to keep tabs on your competition, although you should never let their strategies dictate your own. Look to competitors, as well as the overall industry you’re in, and identify gaps in the marketplace, and then find ways that your brand can fill those holes, either with content or products. Build content: A solid piece of content takes more than a few hours to put together, so don’t worry about finishing it in one day. Instead, just focus on spending some time creating something—a post for your company page, an external byline or a short video–that will actually engage your social audience. Develop something that advances the conversation and gets them interested in what you have to say. Think about your brand: Take the time to truly understand your product, brand and voice. That includes talking to people throughout the organization to understand the challenges they’re facing, and learning what may be coming down the pipeline. This will help you answer social questions quickly and with authority. Additionally, it can help you anticipate things that are coming that may require you to develop a more long-term content strategy. Manage your personal profiles: Just because you’re working on your brand pages doesn’t mean you shouldn’t spend a little time on your own networks. Whether you’re the CEO or a social media manager it’s good to put a face behind your profile to humanize your presence. Engage with thought leaders: Almost every industry has niche social celebrities considered thought leaders, and these thought leaders tend to have major social media pull. Find these people and start engaging with them by following them, sharing their content and replying to their messages—perhaps even send them a direct mail piece. This will help keep you top-of-mind when they’re looking to make recommendations. Engage with marketing partners: A lot of companies have relationships with brands in adjacent spaces and will collaborate on things like events, webinars and guides. If you have marketing partners, try to engage with them at least once a week to keep the relationship alive. For example, I recently wrote an article for email marketing company Emma, and Sprout was happy to share it over social. Discuss tactics with your team: You probably have some very specific goals for what you’d like to see from social media. Speak to the team in charge of social and let them know your expectations. Listen to their questions, comments and concerns and make sure you’re all on the same page before they get to work. Update your calendar with events: Knowing what events are coming up can help you effectively schedule future content. As new events start to arise—conferences, webinars or holidays—make sure you’re loading them all into your calendar so you remain cognizant of necessary promotional initiatives. Use this approach for your own events, as well as industry events that you can tie into. How quickly are you responding to people? Which team members are contributing the most? Is your audience talking about anything new or exciting that you can tap into? Encourage sharing with employee advocacy: Employee advocacy is the idea of encouraging your employees to share your content with their social communities. Employee advocacy helps brands take advantage of the massive networks their employees have access to, while also leveraging the power of word-of-mouth-marketing. Employee advocacy tools out there like Bambu can help facilitate this process.